Murfreesboro Aviation to Display at The Great Tennessee Airshow! 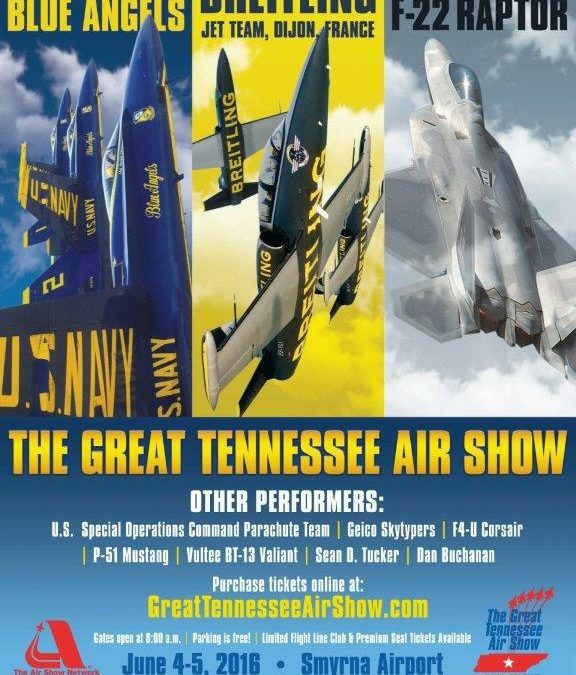 Murfreesboro Aviation will be displaying at The Great Tennessee Airshow on June 4th and 5th! Please come out and see us. We’ve been to many of these airshows over the years but this has the makings of one of the best yet! As usual, we’ll have a large staff of employees and many of our customers will be at the show to enjoy two beautiful days, and lots of great flying. We are scheduled to have 2 planes and maybe 3 at the show. Our owner Jim Gardner was really hoping to demonstrate some loops and aileron rolls in his Skymaster, but apparently you have to be an aerobatic pilot. Darn! If you’re not already aware of it, we just announced a flight training finance program through Fifth Third Bank. If you’ve been interested in learning how to fly but did not know how you were going to fund your education, show up at our show booth and we’ll have representatives that will be able to take your application and process your request on-site! If you prefer, just come to talk and secure more information. It’s going to be a great time! We’ll see you there! !